AWS tutorial provides basic and advanced concepts. Our AWS tutorial is designed for beginners and professionals. 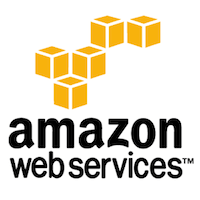 AWS stands for Amazon Web Services which uses distributed IT infrastructure to provide different IT resources available on demand. Our AWS tutorial includes all the topics such as introduction, history of aws, global infrastructure, features of aws, IAM, Storage services, Database services, etc. Before learning AWS, you should have a basic understanding of cloud computing. Our AWS Tutorial is designed to help beginners and professionals. We assure that you will not find any problem in this AWS Tutorial. But if there is any mistake, please post the problem in contact form.